Understanding the role that carbohydrates and sugars play in our diet is an essential step to achieving a healthy weight. 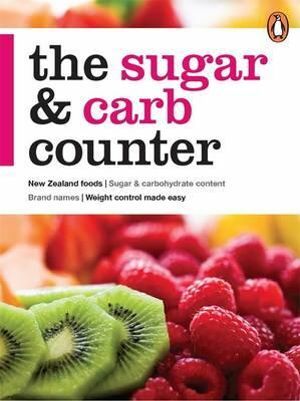 This easy-to-use guide provides the sugar and carbohydrate content of thousands of everyday food items available all around New Zealand. Items are categorised alphabetically under the following headings: Baking; Bread; Breakfast Cereal, Porridge & Muesli; Cake & Muffin Mixes; Cakes & Slices; Chocolate Products; Confectionery; Crackers & Biscuits; Dairy & Soy Products; Desserts; Dressings; Drinks; Eggs; Ethnic Meals; Fast Food; Fish & Shellfish; From the Deli; From the Freezer; From the Fridge; Fruit (Fresh & Dried); Gravy & Packet Sauces; Meat; Nuts & Seeds; Pasta & Rice; Potato Chips; Poultry; Sauces & Condiments; Semi-prepared Meats; Snack Bars & Slices; Soups; Spreads; Stock; Tinned Fish; Tinned Food; Tinned Fruit; Tinned Vegetables; Tofu; Vegetables & Legumes.